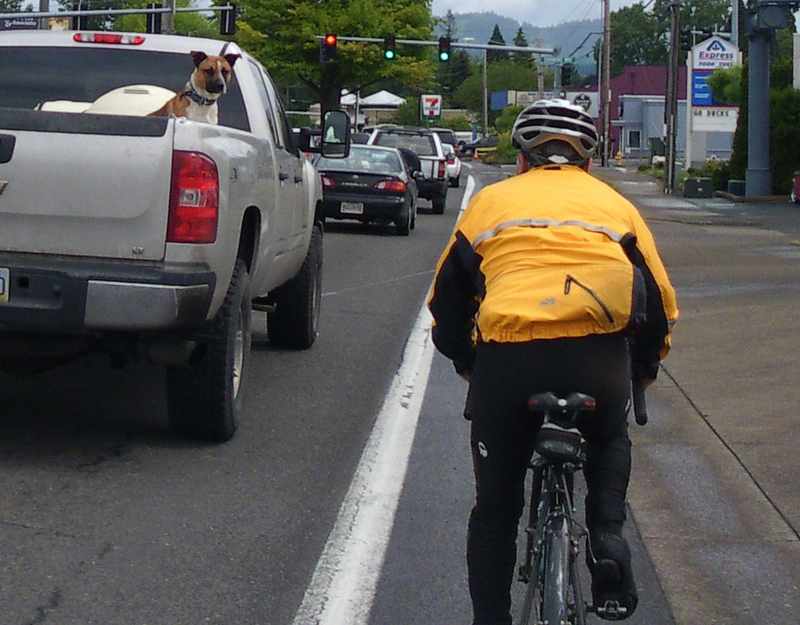 The cyclist, who was in a position to pass the pickup truck on the right as it slowed for traffic, instead hit the brakes and backed off, seemingly not eager to pass this alert pup. This almost caused me to crash into the back of this cyclist. But it was fine. And once we were clear of the puppy dog, we rode two-abreast in the bike lane all the way up Coburg Road, chatting and almost getting right-hooked twice. He was a real nice guy — the cyclist, that is. Not sure about the dog. I recently wrote a post on Dealing with Dogs, but I did not cover this situation.